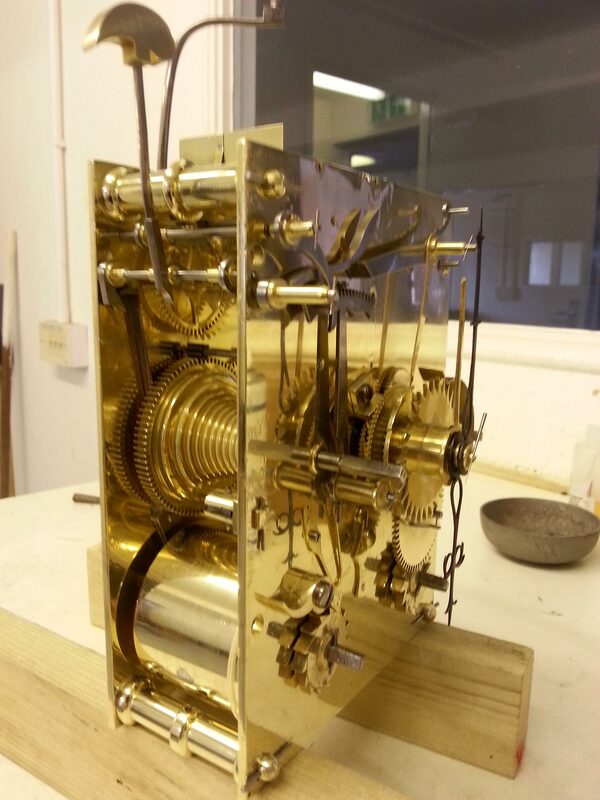 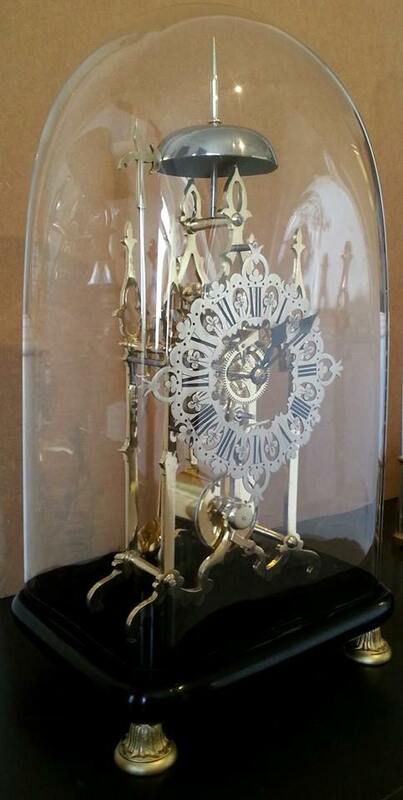 Langport clocks offer full light engineering and restoration services for all types of clock. 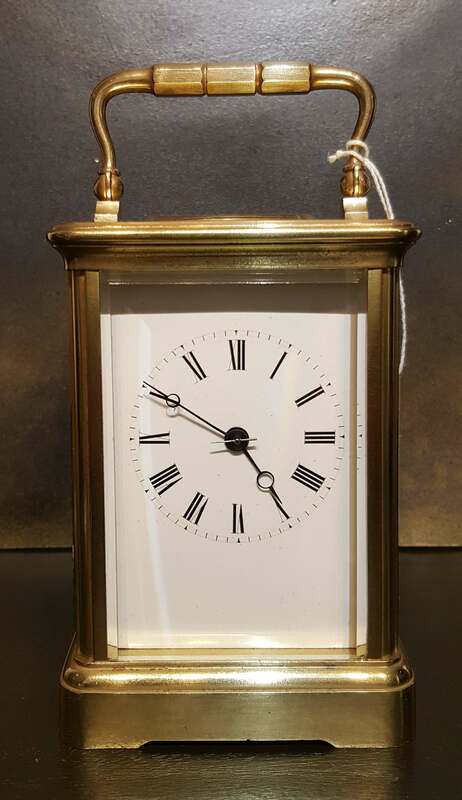 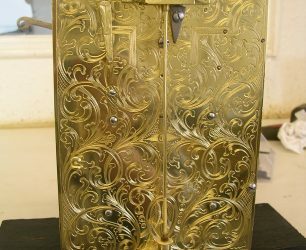 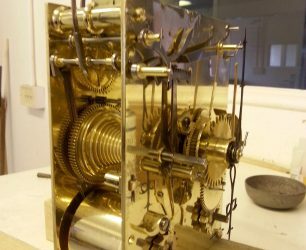 Although a specialist in English clocks, full restoration services are offered for all types of mechanical clock and the workshop regularly has a share of German and French clocks in for restoration. 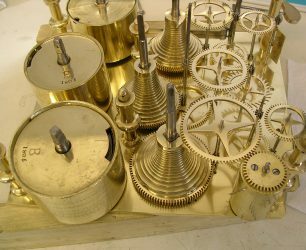 For full restorations, movements are stripped to their component parts, wheels and pivots or set in a lathe and the wear turned out. 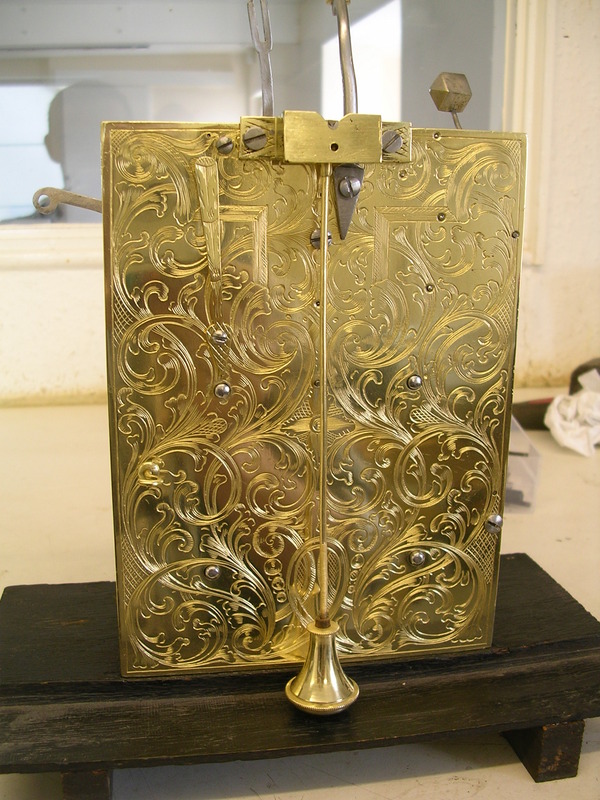 The pivot holes are bushed as required and all mating / warning surfaces have any wear removed and polished. 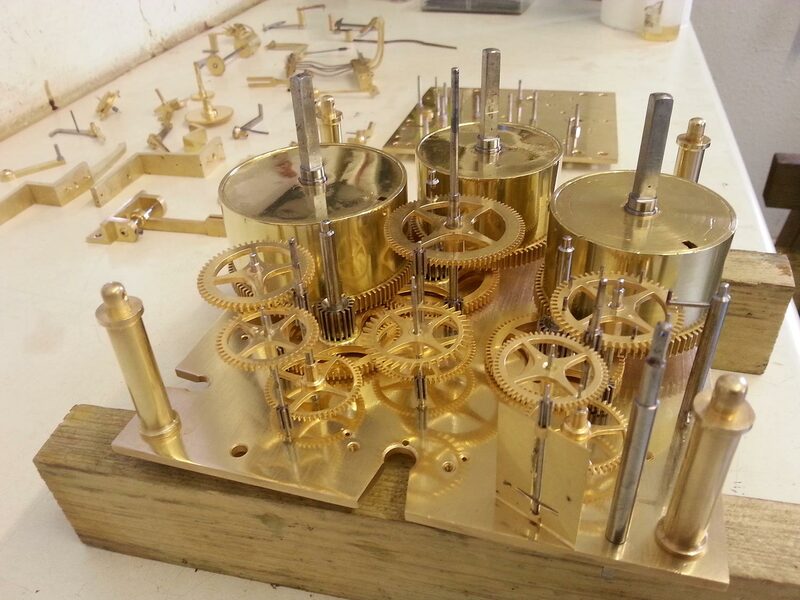 All parts are cleaned, polished, re-assembled and tested. 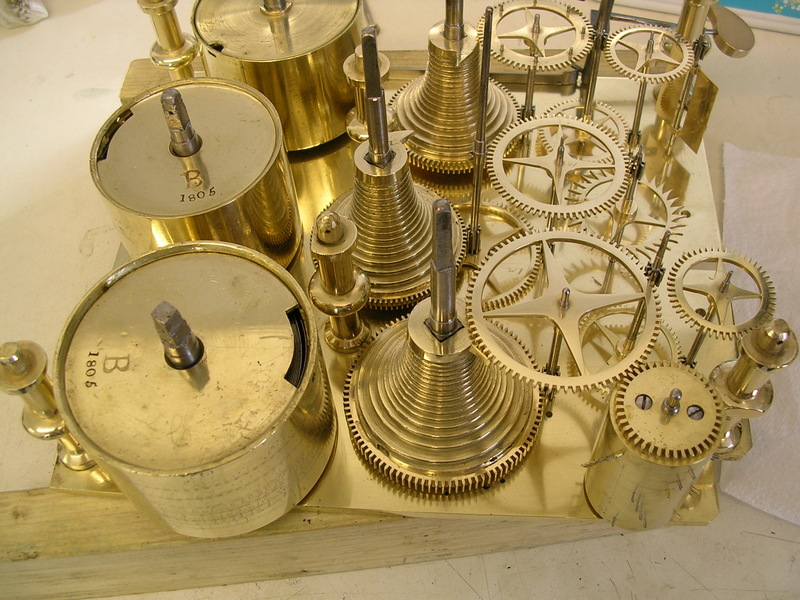 Any component failures within the movement such as worn or damaged wheels and pinions are re manufactured to original specification. 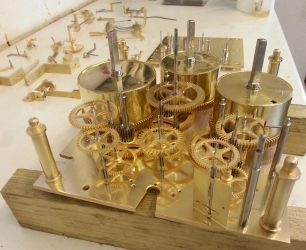 For more modern clocks without the associated wear, a more pragmatic approach can be adopted and problems can be dealt with in isolation. 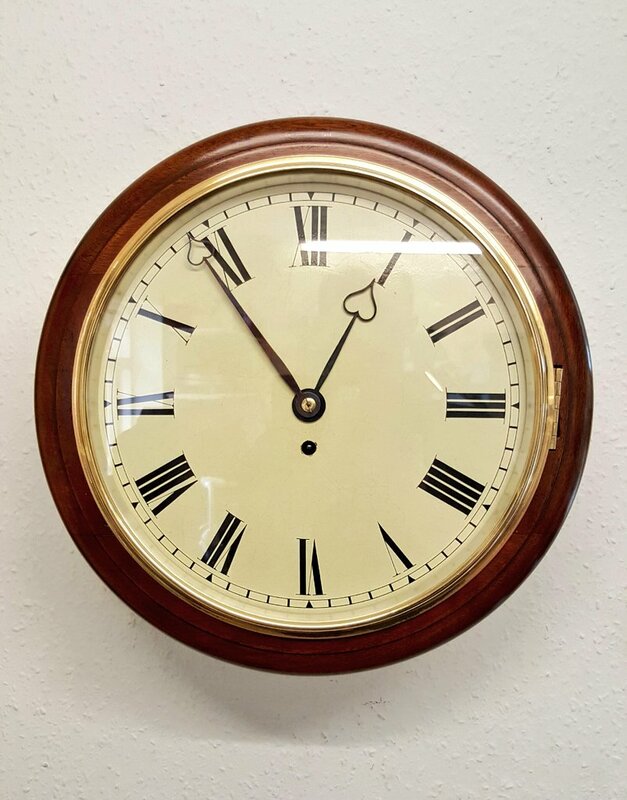 In either case an assessment will be conducted with the customer and no work will be conducted without discussion.